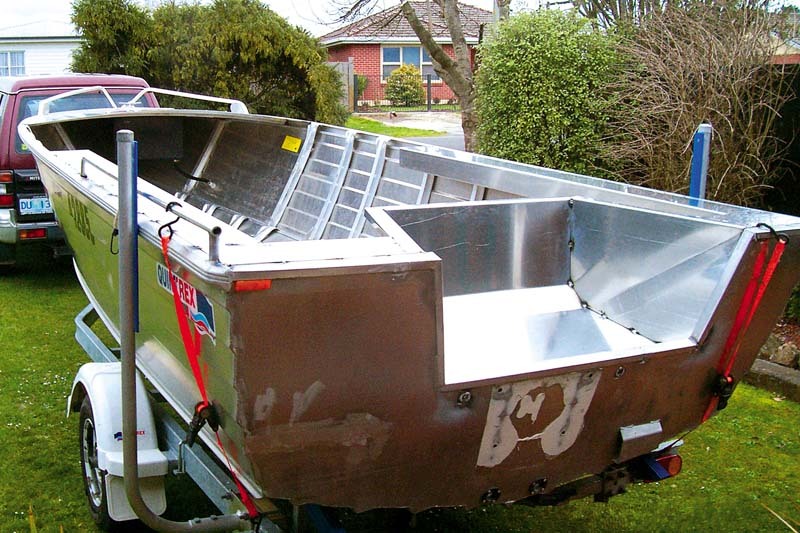 The 2010 Quintrex 520 Dory project boat that became a one-of-a-kind cuddy. When Ike bought his sixth boat to dive from, he learnt a valuable lesson: there is no such thing as the perfect ‘off-the-shelf’ dive boat. So what did he do for his seventh? He put his 57 years’ experience to good use and convinced his mates to help him build one. It helps that one of his mates owns Southern Express Boats, a boat-building company. Surprisingly, Ike didn’t start with a clean sheet; he went hunting for a base to work from to save money and to make sure he had a proven hull under his feet. His research led him to the discovery that one of the most popular and common boats on the water today, the 520 Quintrex Dory, was the go. Boasting 3mm construction all around, the Quintrex Dory 520 is heavier duty than the typical 1.6-2mm thicknesses found in most boats this size. 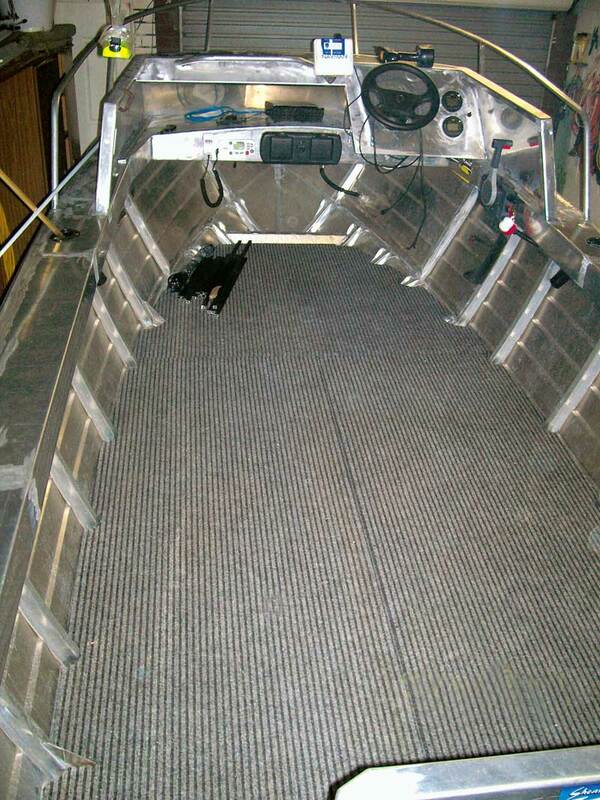 The first job on the Quintrex 520 Dory project boat restoration was to completely gut the boat, floor and all. In went new floor joists, complete with more than 2.4m² of buoyancy foam to keep things safe. He also added an enginewell and a custom cuddy, something never offered on the Quintrex 520 Dory from new. Ike hit a small snag when ordering Perspex screens — different tints across the five sections. He says this is something other project boat builders should look out for when ordering bespoke parts. Flooring was taken care of with 12mm Form Ply covered in marine carpet. Almost done, Ike added a tidy bimini along with a customised boarding ladder, then he hit the water. When he bought it from a local mechanic, Ike fitted a brand new 50hp two-stroke Yamaha outboard motor for cheap, reliable boating, but almost as soon as he had it out on the water and fully laden, he realised that he needed more. Back at his local dealer, he went for a 70hp Yamaha two-stroke outboard motor. We reckon it’s a good choice and Ike agrees, with the new marine engine easily propelling up to four divers plus gear. First major mod was the addition of a full enginewell. The new joists and 12mm Form Ply hide massive amounts of foam for buoyancy. 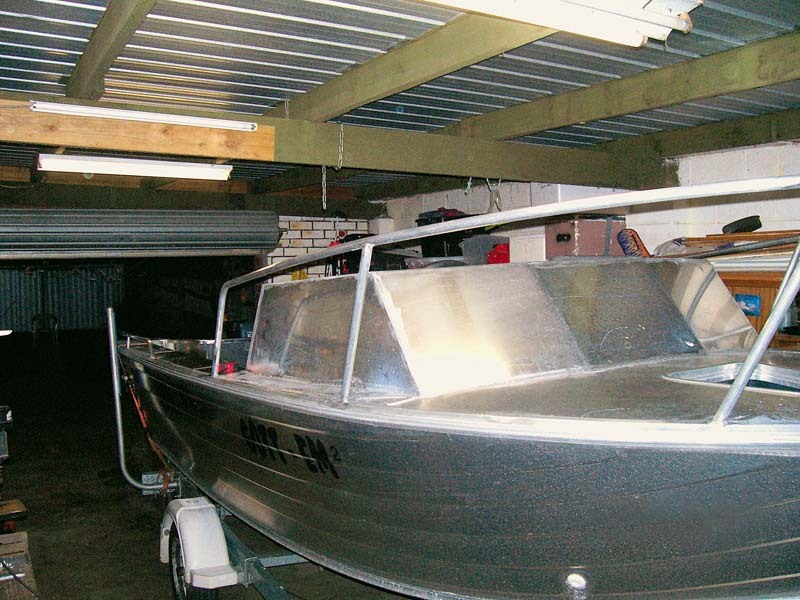 We bet you’ve never seen a Quintrex 520 Dory with cuddy – they never came like that. All done. 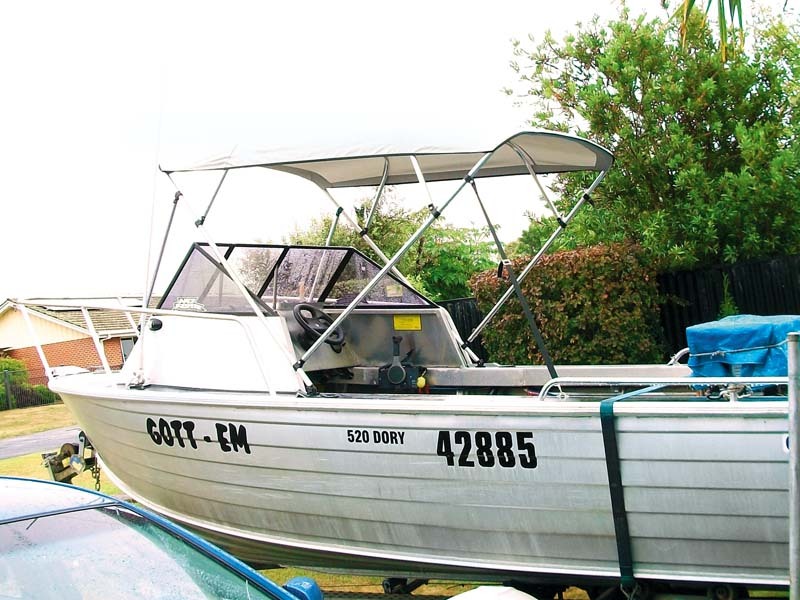 The Quintrex 520 Dory cuddy GOTT-EM will make a fine dive boat for owner Ike and three mates. 1. Plan, plan and plan it out. 2. Check specs when buying materials from different suppliers. 3. Get skilled mates to help – and look after them. 4. Don’t expect to get it right first time but learn from your mistakes for next time. 5. Do what you love and you will love the results. 6. Keep it local. Look for local suppliers and support before looking online for savings; the advice you might find can be invaluable. See the full version of this review in Trade-A-Boat #474, on sale December 28, 2015. Why not subscribe today?